The PfP Consortium of Defence Academies and Security Studies Institutes finds its roots in a proposal by US Secretary of Defence Cohen at the meeting of the Ministers of Defence of the Euro-Atlantic Partnership Council on 12 June 1998. The Consortium aims primarily at strengthening the institutional co-operation between the 44 Euro-Atlantic Partner Countries. In this way, a higher level of professionalism and efficiency can be reached in the fields of training and education of both soldiers and civil servants. Within the framework of the "Washington Summit" in April 1999, the PfP Education and Training Programme was welcomed by the governments of NATO and EAPC countries. It is based upon three initiatives, namely the "PfP-Consortium of Defence Academies and Security Studies Institutes", the "PfP Simulation Network" and the "Cooperative Network of PfP Training Centres". Their main efforts centre on joint civilian and military training and education on the national security-political and strategic levels of planning with an aim of strengthening multinationality. In this network between professionals, scientists and experts, substantial exchange of information can take place on various levels. Next to the six Working Groups (Curriculum Development, Publications, Information Technology, Research, Simulations, Advanced Distributed Learning) and the Secretariat Working Group, six new Working Groups were founded at this meeting (Military History, Digital Library, Lessons Learned, European Security and Defence Identity, Crisis Management in South-East Europe, PfP Training Centres). The Working Group "Crisis Management in South-East Europe" is headed by the Institut für Internationale Friedenssicherung of the Austrian National Defence Academy (IIF/LVAk). As head of the Institute, I would like to stress the enormous securitypolitical relevance of the publication: Austria understands her role within the Working Group as providing a firm basis for dialogue on matters that have been a pivot of European politics during the last decade. 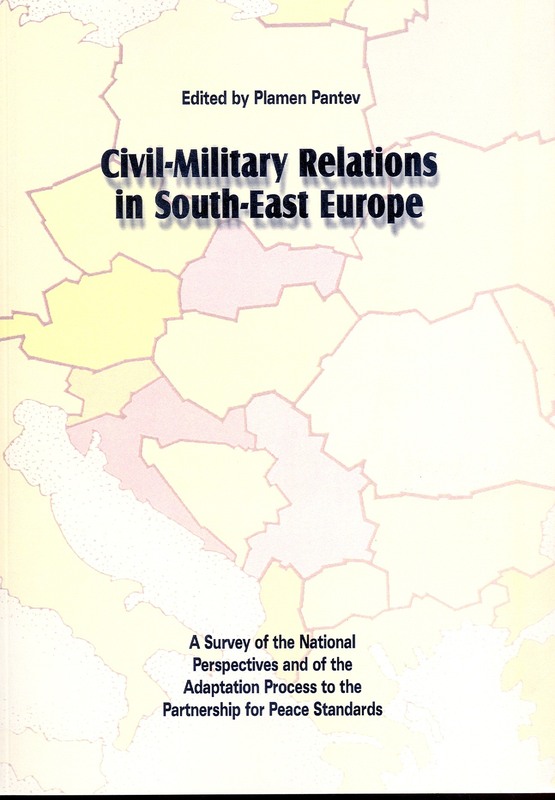 "Civil-Military Relations in South-East Europe. A Survey of the National Perspectives and of the Adaptation Process to the PfP Standards" combines papers by distinguished research fellows and experts from the region, above all from Albania, Bulgaria, Croatia, the Former Yugoslav Republic of Macedonia, Hungary, Romania, Slovenia and the Federal Republic of Yugoslavia. Within the publication, an overview over the common interests and differences within the civil-military structures in the South-East European region will provide ample space for further academic discourse. The unique character of the Consortium Working Group on South-East Europe finds its aim in bringing together military and civilian research institutions and academies concerned with security politics from the region. Through the improved access to information, academies and institutions will be able to improve the efficiency of their training. Security-political institutions are being offered the chance of channelling the results of their research directly into the educational system. This publication might help to provide all participants of Consortium Working Group as well as institutions and experts not directly participating in the PfP process with access to the same spectrum of information from - sometimes - diverging national viewpoints. In accordance with this basic concept the Working Group aims at furthering the unique academic dialogue that has been created between its participants at the workshops in Reichenau in 2000 and 2001 with a perspective of improving the coherence within the Euro-Atlantic strategic community. Finally I want to thank all authors for their efforts to complete a unique study that will be both informative for all interested in this issues and helpful for the co-operative relations of the countries from the region. Special thanks should go to Prof. Dr. Plamen Pantev who did a tremendous work as the editor. The support of the Geneva Centre for the Democratic Control of Armed Forces and the PfP-Consortium in this endeavour has been decisive.